The main aim of this module is to enable prospective teachers to become ‘assessment literate’ with respect to multicultural contexts. ‘Assessment literate’ according to Klenowski (2014) means that prospective teachers have “a repertoire of skills and understandings to design quality assessments and to use achievement standards and evidence as a means by which to discern, monitor and improve learning as well as judge the qualities of student work” (p. 2).Therefore, this module aims to introduce prospective teachers to various procedures and help them develop skills that will allow them to take into account pupils’ diversity and support them to address issues of equity and social justice. 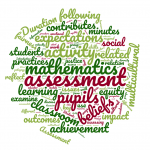 reflect on the key issues of equity, fairness and social justice in relation to assessment practices.